The precise Japanese hardened steel blades operate by using a sharp cutting angle that allows for gliding through different hair types with effortless ease. The quick charge option provides 30 minutes of powerful performance, which comes in handy when you're in a hurry. The fastener of the storage case is rather tight. 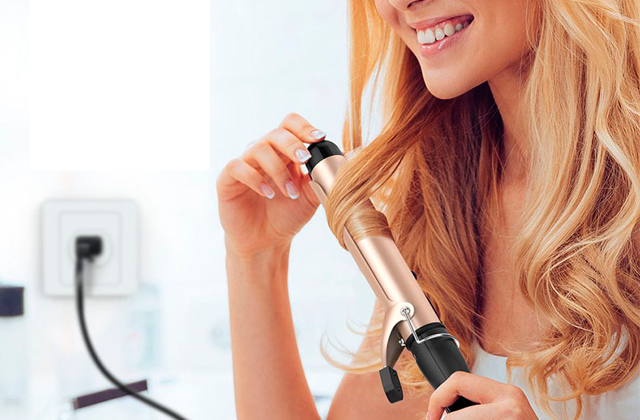 The Super Clipper XTP from BaByliss will be suitable both for professional and personal hair grooming. The taper control lever allows changing the closeness of your cut to achieve the preferred length and style. 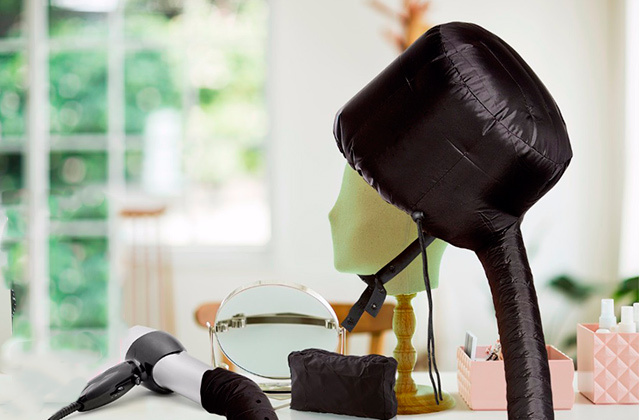 And an impressive variety of accessories included makes your hair trimming process effortless. This hair clipper is fully immersible, which means it can be rinsed under the tap water to remove any excess hair that might get stuck in between its blades. It provides a safe and easy way of cutting both dry and wet hair. The indicator colour doesn't change from red to green after charging. The Panasonic ER-GS60 is ergonomically designed and lightweight that makes it ideal for all kinds of barbering chores. The clipper has durable sharp blades which are honed to a 45° angle to create an optimal cutting edge without causing irritation on sensitive skin. The package includes a personal trimmer to safely remove the unwanted hair in narrow and delicate zones like nose and ears to finish off your look. The blades snap on and off for effortless cleaning and replacement. Its charging time might seem quite long considering the short run time. The Wahl cordless hair clippers have high-carbon steel blades that are precision ground to provide superior cutting performance and remain sharp longer. The ergonomic design fits comfortably in your hand, making it easy to control during use. The storage pouch is good for storing the clipper with all of the accessories while travelling so you can have a well-groomed look anywhere you go. With a wide range of length options and 7 combs included, you can adjust the desired length to customize your cut and experiment with different hairstyles. The brush is rather flimsy. The SURKER Hair Clipper is ergonomically designed with sharp blades to provide the smoothest and cleanest cut every time. The high definition LED display shows the information like the battery capacity and the blade length. You can charge it directly by adapter or charger dock. 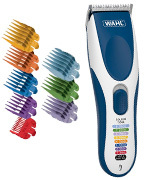 Equipped with 8 colour-coded combs, this Wahl hair clipper has indicators for them on its housing (with corresponding trimming lengths). 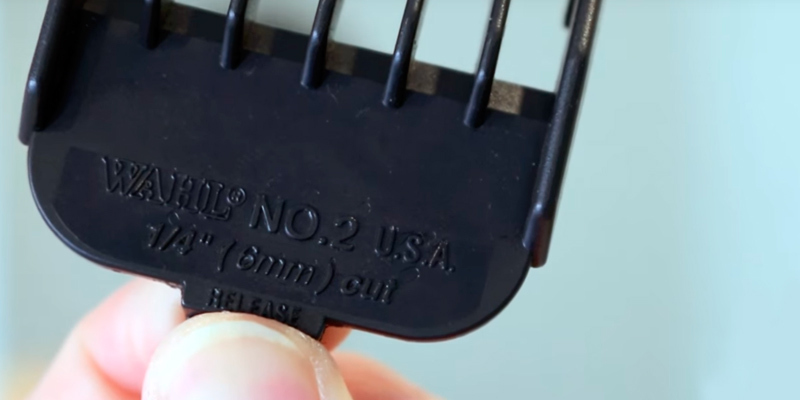 This feature will allow you to find the comb you need in no time at all. The included scissors could be of better quality. 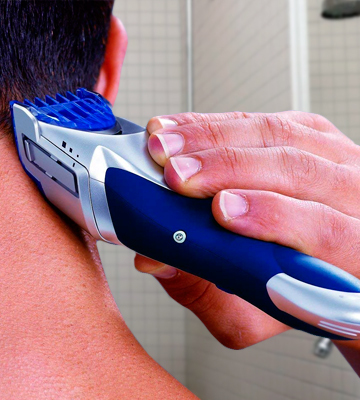 Ergonomically designed, this cordless hair clipper has a very handy integrated thumb grip. Also, the unit is equipped with durable high-carbon steel blades that will help you neatly cut your hair with minimum effort. Featuring worldwide voltage and supplied with a handy storage pouch, it is a great hair clipping kit to bring along on a journey. Many men think of going to the barber's as of a necessary chore since it takes time out of their tight schedules and often entails little inconveniences such as leftover hair on neck and shoulders that need to be washed afterwards. Wouldn’t it be nice to roll out of bed, give yourself a clean up in the comforts of your own home, and then get on with your day without any hassle? Is it too good to be true? With the Super Clipper XTP hair clipper, it’s become easier than ever. Stylish, efficient, and powerful, the Super Clipper XTP is a professional grade clipper for men from BaByliss. It has been cleverly engineered to deliver outstanding cutting performance. The XTP technology provides a super-fast charge that lasts up to 8 weeks for cordless use with complete control and flexibility. Alternatively, the 30-minute quick charge provides 30 minutes of powerful performance. It can also be used for continuous clipping while plugged into the mains. With cutting grades of 0-8, combined with left and right taper guides, you can create a variety of hairstyles, from a classic short back and side hairstyle to a trendy fade haircut. The precise Japanese hardened steel blades operate by using a sharp cutting angle that allows for gliding through different hair types with effortless ease. 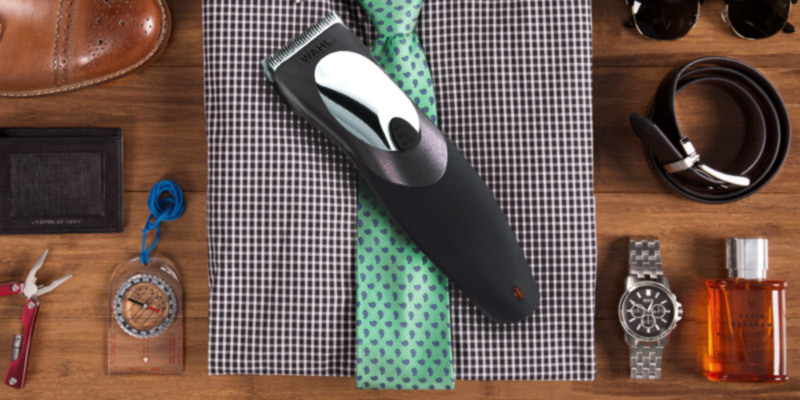 The skin-friendly blades allow you to shape the neckline and sideburns safely and easily. A direct drive motor provides a powerful cutting action. It maintains blade speed through hair to prevent pulling, clogging and stalling for a fuss-free grooming experience. The clipper also features an adjustable taper control that allows changing the closeness of your cut. 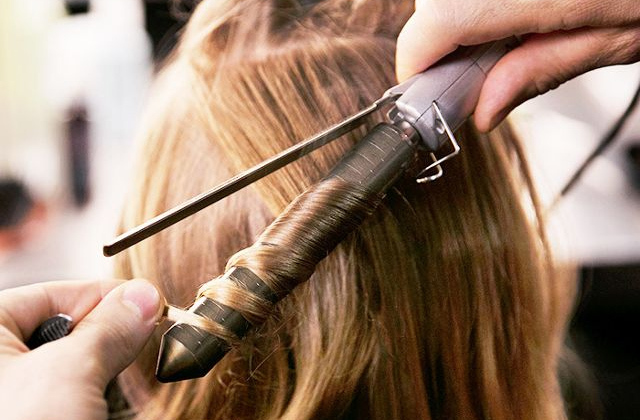 You can move the lever down for a longer cut and up for a closer cut to achieve the preferred length and style. The Super Clipper is a great model in the Babyliss grooming range, designed for the ultimate grooming experience. This professional grade hair clipper for men will provide the perfect finish to your hair. Giving yourself little touch ups in between full cuts can save you time, give you confidence, and allow you to feel more presentable overall. Although not many people pay too much of attention to the neckline, too hairy neckline is likely to invite unwanted looks. To solve this problem, all you need is this Babyliss hair clipper with the right guide attached and a mirror for making an accurate lining. Whether you’re trimming, straightening, or tapering, uniformity on both sides is important. It’s recommended to trim sideburns when they are damp. Comb in the direction of your hair growth and use the clipper to get your desired shape. Don’t use scissors to shape the area behind your ears. 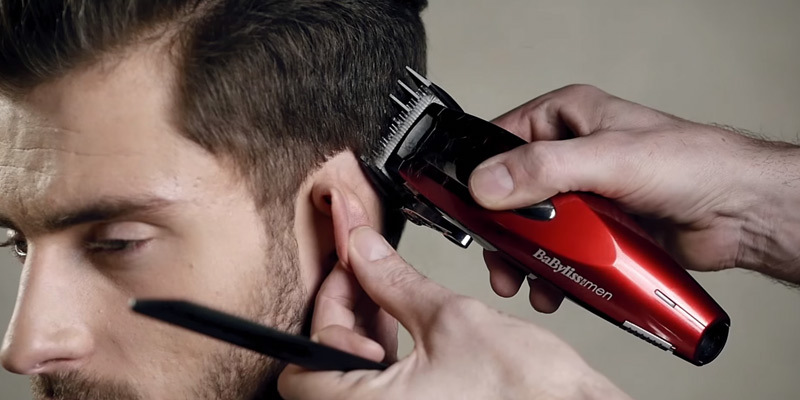 Instead, gently bend your ear down and cut along the hairline using the inverted clipper. Have you ever ended up with a much different haircut to what you expected after giving a barber specific instructions? If you have, then it's high time to try your hands on a hair clipper and to make the kind of haircuts your heart desires. 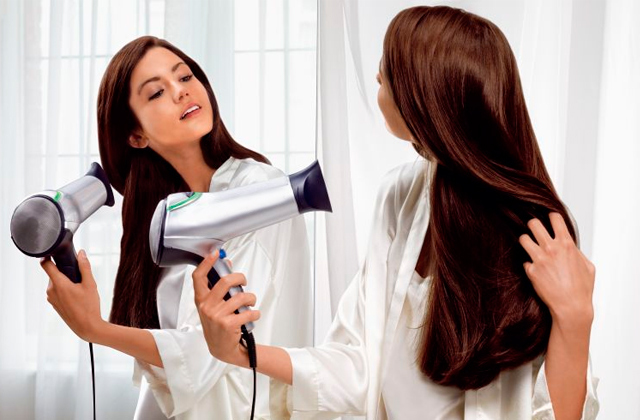 The Panasonic ER-GS60, which can be used on both dry and wet hair, is one of the best choices to familiarise yourself with hair styling. This model has durable sharp blades honed to a 45° angle to create an optimal cutting edge without causing irritation on sensitive skin. You can use the device cordless or plugged in. The trimmer is fully immersible in water and performs efficiently when used in the shower. It can be rinsed under the tap water to remove any excess hair that might get stuck in between the blades. 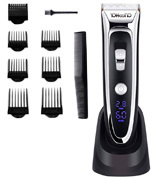 This hair clipper comes with 3 comb attachments that help you get the length and look you desire. The combs' rounded edges minimise pulling and tugging and maximise the comfort while clipping and trimming. Also, the clipper has 10 precision settings that allow you to choose the exact cut without the need to change numerous attachments. After a while, you will know the hairstyles that look best on you. Experimenting with new, fascinating hairstyles, you will not only make your appearance better but also boost your self-confidence. This clipper includes an AC charging stand with an indicator light which glows red when charging. The compact stand holds the clipper in an upright position that offers a convenient way to store and charge the unit, taking up just a tiny bit of space on the sink. If you don’t want to keep track of numerous attachments and your haircuts are easy and fast to complete, the Panasonic ER-GS60 is what you need. This ergonomically designed hair clipper allows you to cut hair with ease and precision. The main benefit of corded hair clippers is that with one of them you will never run out of power during your cutting session. 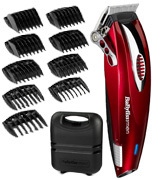 What is more, you will not need to waste any of your time as with cordless clippers that require regular recharging. Turning to the advantages of cordless clippers, they offer more flexibility and freedom of movement since you don’t need access to an outlet. All in all, both types of clippers can give you immaculate results, and which one you should choose depends totally on your lifestyle and personal preferences. 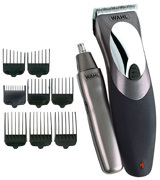 Without any doubt, Wahl clippers are the leading brand in manufacturing personal care products. They are used in professional hair salons worldwide, remaining a favourite with top celebrity stylists. The Wahl cordless hair clippers are perfect for all your grooming needs. The high-carbon steel blades are precision ground to provide superior cutting performance and allow you to get a definitive cut. The blades snap on and off for effortless cleaning and replacement. Keeping the device hygienic is simple - rinse blades to remove any buildup of hair that can get clogged up in the mechanism. The LED charging indicator lets you know when the clipper is charging and when the charge is complete. 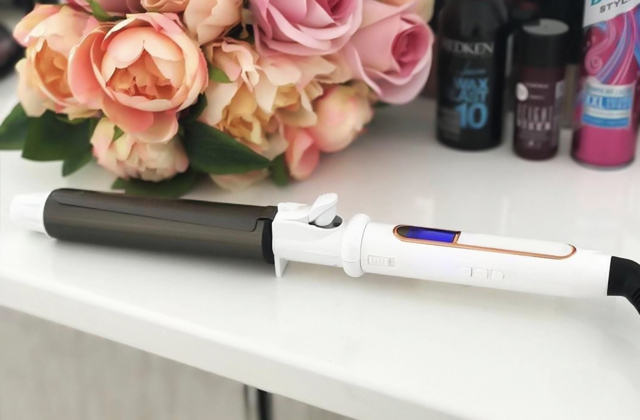 When fully charged, the groomer provides up to 45 minutes of cordless use, giving you a sufficient amount of time to make haircuts in-between charges. If the clipper runs out of charge, the rechargeable battery allows you to use the device by plugging it into the mains for non-stop operation. The cordless option gives you freedom of movement when styling. Yet, you can use the clipper with the cord when the charge runs low. The set comes with a range of essential grooming accessories, including a barber comb, 10 comb attachments, hairdressing scissors, and section clips. 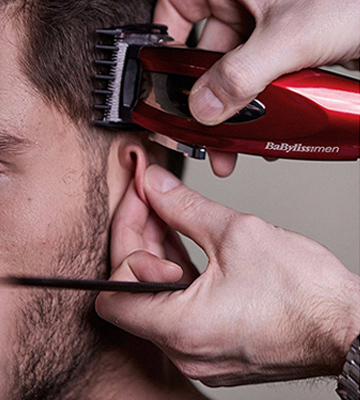 The clipper includes a personal trimmer for removing ear and nose hair to finish off your look. The storage pouch is good for storing the clipper with all the accessories between cuts or while travelling to have a well-groomed look wherever you go. Wahl is the brand used by professionals that offers unrivalled quality. As an international leader in the manufacturing of products for professional styling and personal care, Wahl constantly pushes the boundaries of innovation. - After each use, brush the hair from the blades. The time we have is precious in today’s busy world. The hustle and bustle of our everyday life leave little time to spare. 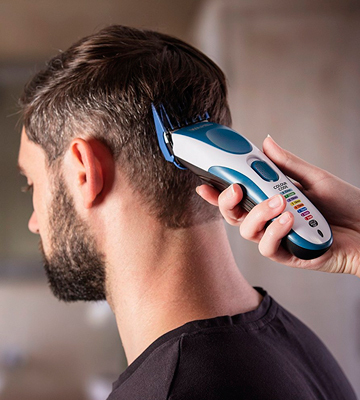 With the SURKER Hair Clipper, you can do a quick touch-up before a last-minute meeting or a business trip, as well as trim up between your haircuts. No matter if you are at home or away travelling, you can always maintain that neat, clean-cut appearance. 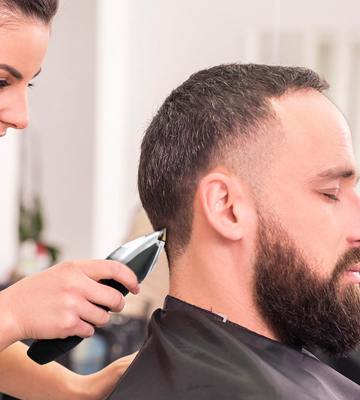 The SURKER Hair Clipper is powered by a high-performance motor that provides twice the power as standard motors, and the Lithium-ion battery gives you up to 60 minutes of runtime. The titanium ceramic blade supports precise length setting adjustment from 0.8-2.8mm. 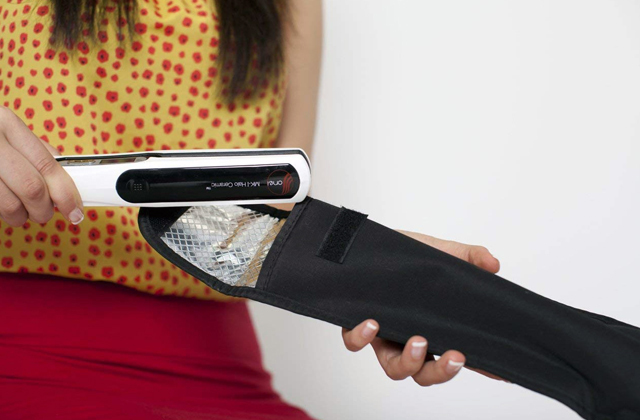 The hair trimmer can be used corded or cordless, giving you more freedom of movement. There are 7 combs that allow you to adjust the desired length to customise your cut. Would you like to experiment with other styles? Have at it! That being said, haircutting is a skill that requires practice and time to master. To start with, keep it simple and choose a style which doesn’t take that much effort to achieve. As soon as you have all the basics down, it's time to experiment with more complex styles. The body of the hair clipper has a lightweight, slim design that is comfortable to hold in hand. The high definition LED display shows the information like the battery capacity and the blade length. The SURKER Hair Clipper packs plenty of power and has superior quality blades to provide the smoothest and cleanest cut every time. If you enjoy autonomy or have a busy schedule, this cordless hair clipper is the perfect solution for you. A child's hair grows quickly, so parents have to go to a barber very often. Why not to cut your kid’s hair at home with a hair clipper? All you need is to spend a little time to find out how to do it properly. Wash the hair over the bathtub or sink. Scrub their scalp carefully and dry their hair with a towel until it’s damp, but not dry. Prepare a chair which is high enough so that you don’t bend constantly when cutting. Keeping their head straight will allow you to cut the hair evenly. It can be helpful if you put on your child's favourite cartoon to make the haircutting experience positive for your little one. If the hair gets under your kid's clothes, it can make them feel itchy around the collar. You can also use a blow dryer to blow off the hair. Agree on a haircut with your little one before you start. You can find images and let your child choose. Keep in mind, the smaller the guard number is, the shorter the hair will be. If the kid’s hair is quite long, you may start by cutting their hair with scissors and then use a clipper. 5. Run the clipper along the head, starting from the back. Then work your way to the crown area and finish by cutting the sides. Remove the guard to avoid cutting your child’s skin. Start trimming until the hair creates a straight line across their neck. After, turn the clipper over and clean up the fuzz below the neckline. Fold your child’s ear down and cut the hair, following their ear with the clipper. Clean up the leftover hair around their ears. Run the clipper across the sideburns for achieving the desired length. Look at your kid to ensure that both sideburns are even. Well-known brands do their best to make cutting your hair at home as simple and comfortable as possible. And Wahl is one of them! 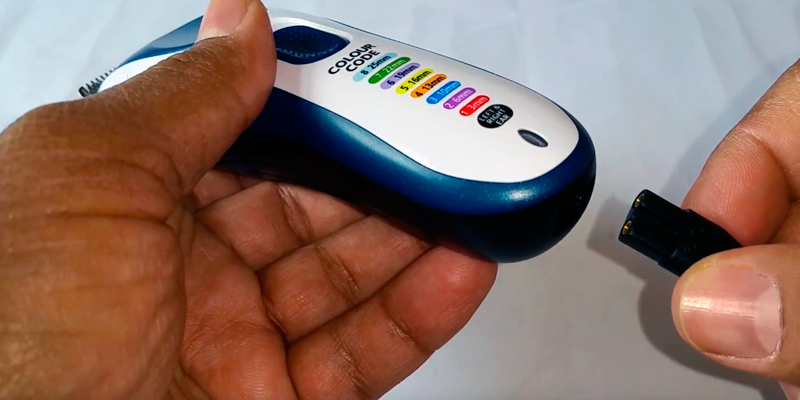 Its Colour Pro clipper has everything you need for accurate and precise trimming. 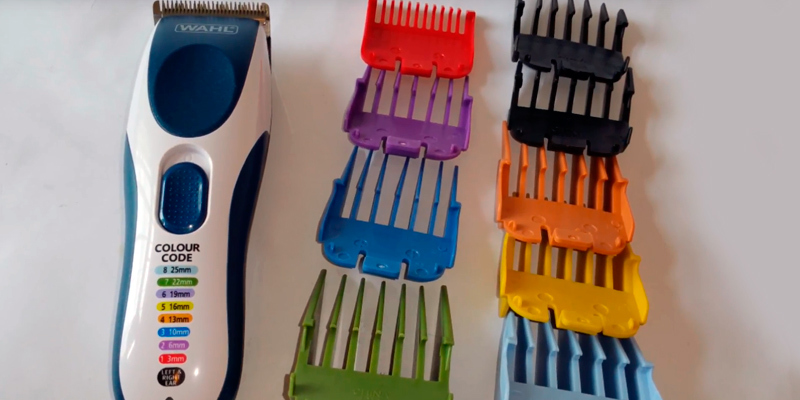 The cordless hair clipper comes with an assortment of attachment combs for different cutting lengths - from 0.8 up to 2.5 mm; these guide combs are colour-coded depending on the trimming length. Besides, the box also includes a left and right ear taper (black coloured), scissors, and a barber comb. For convenient use, the unit has precision ground blades that can be easily detached and washed under running water. Also, it has a user-friendly design with an integrated thumb grip which makes it comfortable in hand and easy to control. This ergonomic device can be used with or without a cord. It takes 12 hours to fully charge the unit and then the device can operate for up to 60 minutes. Needless to say, if you need more time to finish your haircut, you can use it plugged in for as long as you need. Another nifty feature is that the Wahl Colour Pro features worldwide voltage, which means you can recharge this model and use it corded even when you go overseas. An ergonomic storage pouch is included in the purchase, so it will be easy for you to transport or store all the accessories and attachments in one place. 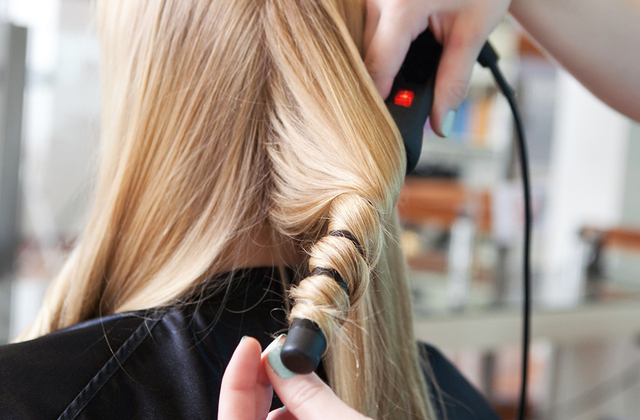 Using a hair clipping machine is not only a great way to cut down your expenses. It's a great way to cut down stress! If your kid hates going to the barber's, you could try to have his hair cut at home. 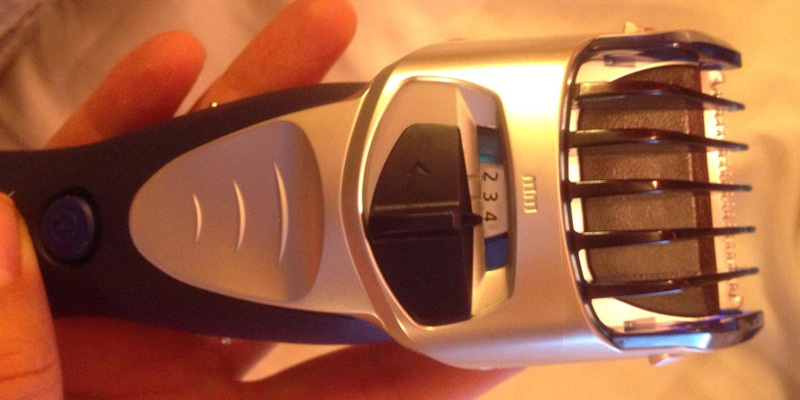 With this Wahl cordless trimmer, the procedure will be easier for you and less frustrating for your child. As we have already mentioned, the appliance comes with eight colour-coded guide combs, so it will be easy (and fun) for you two to pick the one with the desired length. Just look at the table on the unit's front panel to quickly define which attachment you need right now. Or, you can turn the procedure into a game and ask your little one to give you the comb of this or that colour depending on the task. Sure enough, using colour coded combs will make trimming much simpler, irrespective of the age of a person. Thanks to this bright feature, you will be able to choose the right attachment in a matter of seconds. So, changing combs when you need to do the top, sides, or back of your head will be much quicker with this wonderful hair clipper. Summing up, the Wahl Colour Pro hair trimmer is a wonderful choice for hair styling at home, especially if you have kids. So much fun guaranteed! What Is a Cordless Hair Clipper? Having well-groomed hair and beard is much more than just about the image. Our looks mean a lot and we are often judged by our appearance. The problem is, though, for a lot of people today, going to a barber's shop or hairdresser's means to make a schedule and try to reconcile it with their work. If that sounds a familiar problem, we can offer you a way out. You can purchase a hair clipper and cut your own hair at home. 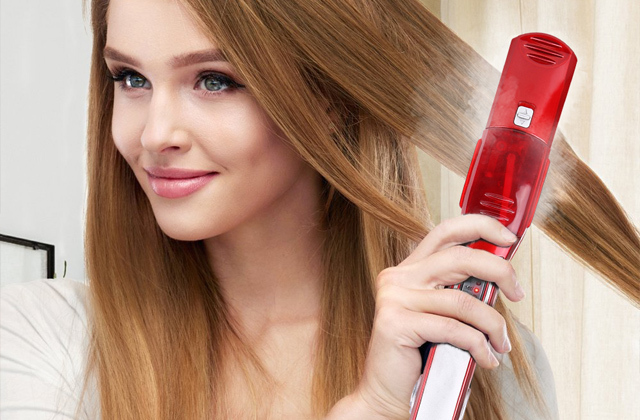 Most hair clippers available for sale today include detailed instructions, showing how to use the unit and adjust the comb lengths, thus, you will not have difficulty using it at all. Once you get the hang of the thing, you will be able to experiment with your looks, achieving perfect results in the comfort of your home. 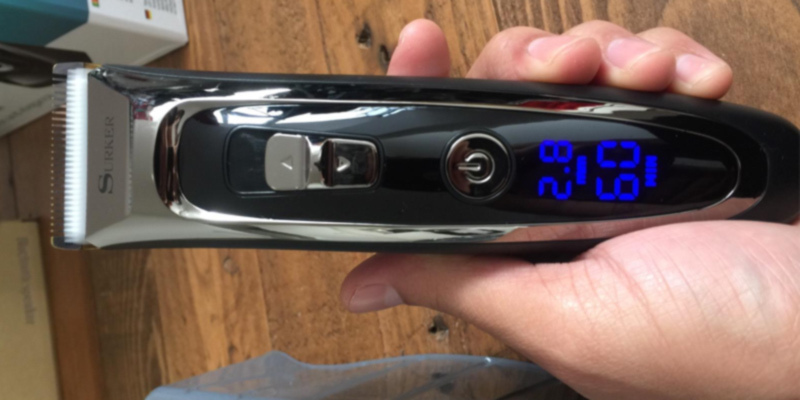 For this review, we've picked cordless hair clippers that can become of great use not only for regular customers but also for professional barbers working in salons. Some of the units can offer corded and cordless performance for non-stop run time. We also believe you should get interested in our review on beard trimmers designed for facial trimming, contouring hair around ears and neckline. Hair is one of the first things that invites looks when people see you. Which is why taking care of its condition and keeping it well-groomed are must-dos. In this regard, we'd recommend investing in a good hair clipper so that you could cut your own hair and give yourself a quick trim any time you want without having to go to a barber's shop. There's a great variety of clippers designed for both professional and personal use so you will certainly be able to select the model that's right for you. Hopefully, our tips will come in handy making it easier to choose the one you need. Both hair clippers come with a cord. The main difference between the two is that a cord in corded models is used for plugging while in cordless models it is needed for battery charging. 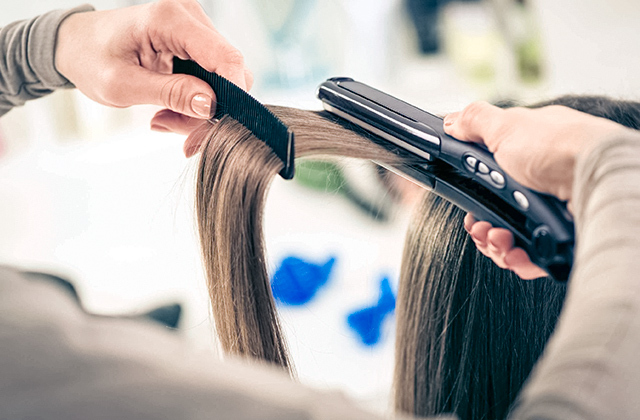 The obvious benefit of a corded clipper is that once it's plugged it delivers non-stop operation as long as so desired. Also, unlike cordless clippers, it's always ready for use, eliminating the waiting time. 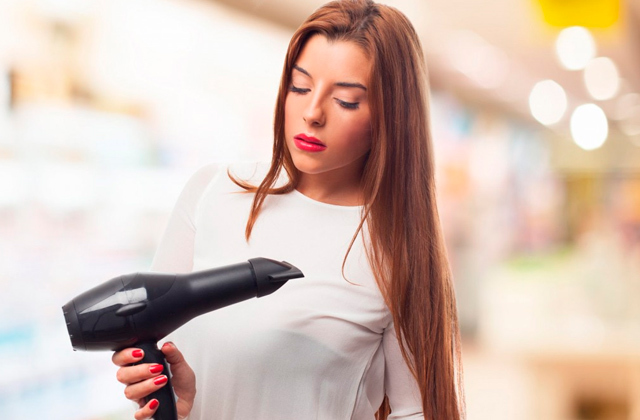 With a cordless clipper, on the other hand, you aren't bound to cutting your hair only a few feet away from an outlet and can do it anyplace where you feel comfortable. Another big benefit is that most of corldess hair clippers can be rinsed under water, facilitating their maintenance a lot. Cordless models with charging stations allow you to go mobile, making it a perfect choice for long trips which require you to look good. 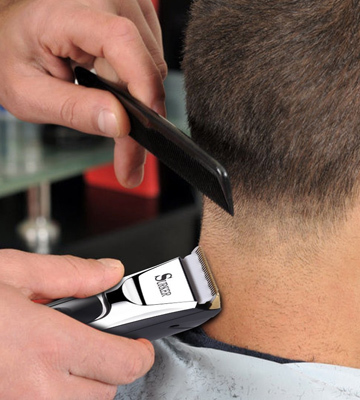 Some clippers offer dual compatibility and can be used both with and without a cord. 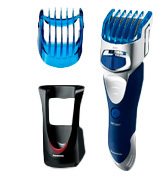 Power is another important characteristic to consider when buying a hair clipper. The more powerful motor the clipper has, the fewer strokes you'll need to make to cut your hair, and the more hair will be cut on each pass. A high-performance motor makes short work of knots, tangles, and difficult hairs, which is another reason to invest in a good clipper. Though it will be a bit more expensive than average models, it will also serve you longer while delivering better performance and results. There are 3 main types of motor available: magnetic, pivot, and rotary. The magnetic motor is ideal for occasional use. The motor runs at high speeds and uses both an electromagnet and a spring mechanism to vibrate the blades. It provides low power consumption and quiet operation. Magnetic clippers work best for shaping light to medium hair. The pivot motor is well suited for all day use. It uses 2 electromagnets without a spring. 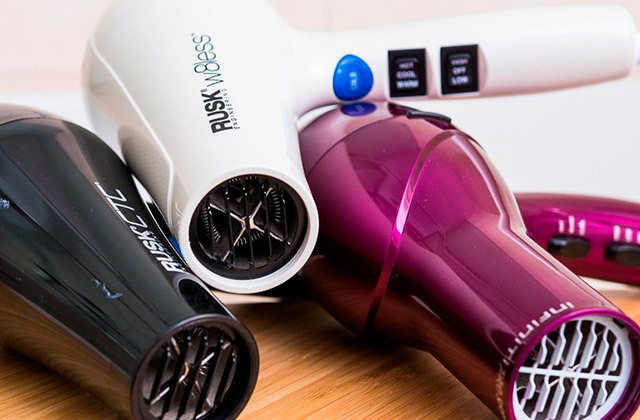 Though its blade speed is slower as compared to the magnetic one, this motor is twice as powerful that makes it a great choice for those that need to handle thick and heavy hair types. The rotary motor is the most powerful of all three types and offers the best performance. Rotary motors are quite versatile and work best for a diverse range of haircuts. They are great for thick hair and heavy duty cutting. Many hair clippers use standard rechargeable batteries. If you require a longer lasting battery, then check out the clippers with Lithium-ion or Lithium polymer batteries. They have a longer lifespan than traditional rechargeable battery units. Clipper blades should be reliable, durable, and easy to remove for proper maintenance and cleaning. Ceramic blades are good for long cutting sessions due to their resistance to corrosion and ability to remain cooler than steel blades. A hair clipper with adjustable blades can be used for trimming the beard, giving you as close a shave as you need. A clipper with self-sharpening blades will save you the hassle of sharpening the blades and prolong the service time of the device itself. One more thing to consider when looking for a new hair clipper is what accessories come included in the package. The guide combs allow cutting hair to a specific length, which provides a greater variety of styling options and possible haircuts. In addition to the guide combs, hair clippers may also include a cleaning brush to keep the moving components of the clipper clear of clogs and some lubricating oil to prevent the blades from jamming and to reduce the friction that may cause overheating. Finally, the majority of clippers come supplied with a storage case to keep all accessories safe and well-organized. Your hair has some surprising properties that you have probably never heard about before. Here are some fascinating facts about hair. The warmer the weather, the faster the hair grows. Heat stimulates blood flow to the scalp, which results in better hair growth. Unlike other body parts, our head doesn’t have fat layers to protect it against the cold, so our hair compensates for the lack of insulation and keeps some of the heat in. Actually, our hair grows at about 0.33mm daily. Though the frequent use of heated styling tools and rough treatment can slow down the process of hair growth. Improper hair care causes excessive hair loss, so it won’t grow longer. On average, we lose nearly 50-100 hairs daily but don't worry when you find hairs in your hairbrush, as they start growing back right away. Did you know that all hair has twists, even though it seems perfectly straight? The difference between these hair types is that the curly has lots of twists in it that makes it contract and curl. When treated properly, a hair strand can last for a long time. The lifespan of a hair strand can vary a lot, but on average, it lives from 4-7 years. It’s interesting to note that if you pull out a hair which has reached the end of its growing cycle, you will not feel any pain. Our hair is so elastic that it can stretch by up to 30 % and go back to its original length. Wet hair is more elastic, but it's weaker and can be damaged more easily if you pull it too far. It’s a myth that regular cuts can make the hair grow faster or anything of the sort. It can remove split ends, making your hair look neat, but it will grow at the same rate. The history of electric hair clippers begins in 1911, when Leo J. Wahl, Sterling high school student, started his experiments with a vibrating electromagnet motor. Using this knowledge, Leo developed a vibrating massager for his uncle, Frank Wahl, who started producing these devices for local barbershops. When Frank served in the Mexican Revolution, Leo J. Wahl took over the family business. By 1919, Leo manufactured and patented the first electromagnetic clipper. By the end of 1920, Wahl's factory had sold thousands of hair clipper to barbers across the USA. In 1921, the Wahl Corporation was founded. In 1967, the corporation produces the first cordless hair clipper with rechargeable battery technology. Nowadays the Wahl Corporation is one of the leading manufacturers of hair clippers that sells their products in about 165 countries worldwide. In 1923, Sidney Horstman, a British engineer, invented the first electric clipper with the adjustable blade. Since then, barbers were able to adjust the blade to different hair lengths. Q: How often should I oil clipper blades? A: The trimmer blades should be regularly lubricated to ensure maximum performance and longevity. To oil properly, hold the trimmer with the blades pointed in a downward position. With the device running, squeeze a few oil drops onto the top blade. Wipe any excess oil off to avoid getting it into the motor, as this can eventually clog up and damage it. It’s recommended to keep blades well lubricated from time to time during use and after the job is completed. Even if you are not using your clippers, it’s advised to oil blades once a week to prevent corrosion. Q: What’s the difference between steel and ceramic blades? A: Steel blades have lower and upper surfaces in steel, while ceramic blades have a lower surface made of titanium or steel and the upper surface is in ceramic. Ceramic blades are sharper than steel ones and remain cool after long hours of use but can be broken easier. Q: How to clean clipper blades? A: Once you have finished clipping, unplug the unit and remove a comb. Hold the clipper facing downward and dust the trimmed hair and dirt off with a cleaning brush. You can also use a hygienic cleaning spray. After cleaning, reoil blades. For a more thorough cleaning, remove and clean the blades. Never dip your blades in water, as this can cause your blades to rust or damage them. Q: How should I store my clippers and blades? A: It’s recommended to detach the removable parts of the clipper and then clean them with either a soft cloth or a cleaning brush. Never allow the blade to get wet, and store it in a clean, dry place, wrapped in greaseproof paper, with a good coating of oil. If your clipper features an air filter, remove it to clear any trapped hair out and store separately. 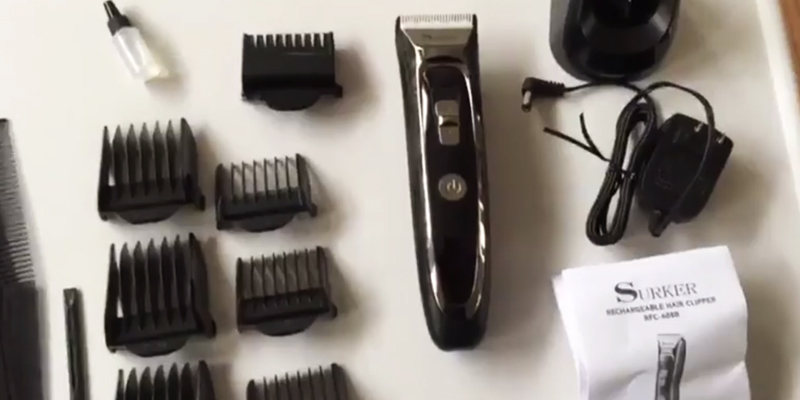 Q: What’s the key difference between a trimmer and clipper? A: A clipper is used for removing thick hair chunks and clip on all body parts. It has a more powerful motor and more blade options while a trimmer works on small body areas like face, neckline, and near ears to give a neat finish. Q: How long do rechargeable batteries normally last? A: The duration of the rechargeable battery primarily depends on the battery type. Lithium-ion batteries usually last for up to 2 hours while nickel-cadmium batteries last for about an hour. One of the best ways to prolong the battery life is to fully drain it every 2 months. Also, you shouldn’t overcharge the clipper. Q: What should I do if my clipper doesn’t feed through the hair? A: Probably, the problem is in the blade set. Most frequently, the blade sets may become dull or clogged up with accumulated hair strands and dirt. Sometimes a single hair trapped between the bottom and top blades can affect the blade cutting performance. Simply remove the blade from the unit, clean hair and dirt with the brush provided, generously oil and reassemble the blade. If the blade is worn or dull, you can re-sharpen it at the sharpening service to ensure the blade performs as intended or buy a new blade. Q: Why do my blades stop cutting or get hot? A: Any professional clipper generates an amount of heat. Even a small piece of debris can affect the clipping performance and cause jamming. This creates extra friction and heat to the clipper and blades. To reduce friction, you should oil blades regularly. Also, you can use a disinfectant, rust preventative, blade cleaner, lubricant, and blade coolant. 1. Kelly Burgess Buying Guide: Hair Clippers, ConsumerSearch. January 11, 2018. 2. Hair Clipper, Wikipedia. March 23, 2018. 3. Catalina Bixler When Was the First Hair Clipper Invented? Our Eeveryday Life. September 28, 2017. 4. Melissa Mayntz Hair Clippers, LovetToKnow. 5. 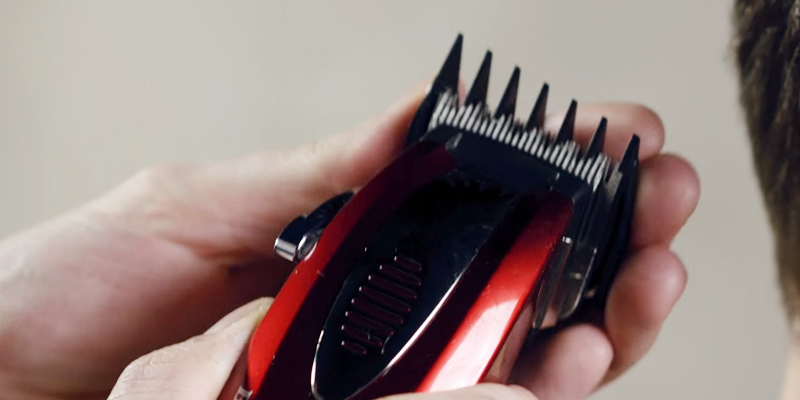 Manual Hair Clippers, Revolvy. 6. How to Cut Your Own Hair (Men), wikiHow. 7. Haircut Numbers – Hair Clipper Size, Men's Hairstyles Today. 8. 5 Reasons Why You Should Cut Your Own Hair | Benefits Of A DIY Haircut With Clippers, Real Men Real Style. 9. Tips for Successful Haircuts, Autism Speaks.